Once we left St. Louis, the plan was to head back to Peoria, IL for a couple of nights. J and I met in Peoria eleven years ago and moved away in 2008. Neither of us had been back since. Some things change and some things stay the same. One of the big things that has changed since we left is the riverfront. When I moved to Peoria in 2002, there was a huge block of land a block off the river that was abandoned. It was known then as the “Sears Block” because the long abandoned building was a Sears store before they moved out to the Northwoods Mall. The block sat empty for many years while money was raised to build The Peoria Riverfront Museum. 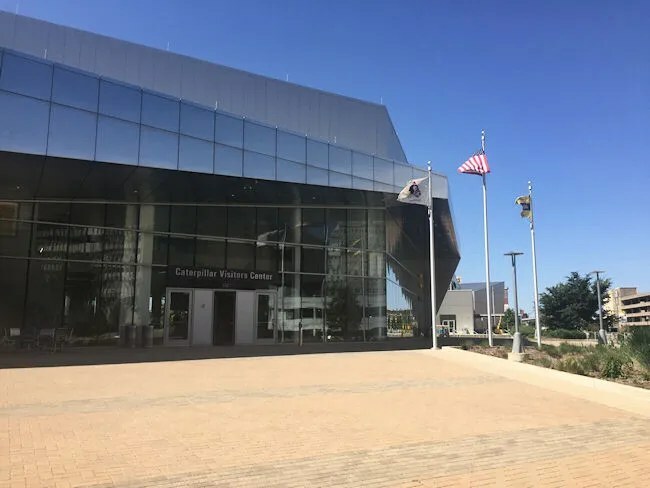 As a companion to that museum, Caterpillar pledged to build a visitors center on the east side of that property across from the parking garage of their World Headquarters. The hold up with Caterpillar was they said from the time they announced the project they weren’t going to build if the Riverfront Museum wasn’t going to get built. It took almost 15 years to fund and build the Museum and while it was a hot topic while we were there, it was almost four years after we left that the block was finally redeveloped. Our first night in Peoria was straight to the hotel and to bed. It wasn’t really late, but we were tired and we had plans to meet a friend for lunch at noon the next day. Our plan was to visit the museum before that. We got to the museum campus right at 10:00 when the Visitor’s Center opened. It was a Monday so there was not a lot of people downtown and parking was pretty open. There is some street parking along the east side of the block, but we didn’t see any meters. They’ve switched to online payments and we didn’t have an account with what service they use, so I had to register just so I could pay the $2 to park. There is also a parking garage on Water Street, but I didn’t know that at the time. 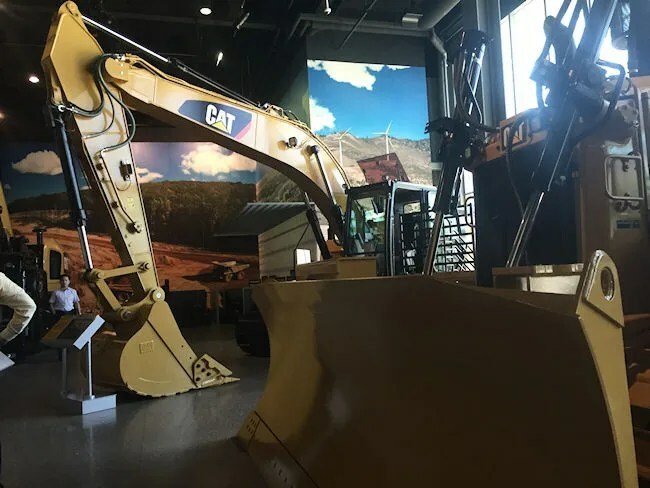 The Caterpillar Visitors Center is a self-guided tour of the machinery giants history. The first area you walk in to is the lobby. It’s a huge, naturally lit space that leads in to the museum. Admission for adults is $7 and kids under 12 are free. The thing that needs to be pointed out is that this is a museum. While there are a lot of interactive displays and machines to climb on, it’s not really geared towards little kids. That said, there were a lot of kids there the day we were and L did have fun climbing on the machinery (I’ll get to that in a minute). Once you pay, your buzzed in through a locked door and met by an employee who ushers you in to the dump bed of a 797F that they’ve turned into a mini movie theater. You really have to appreciate the size of this dump truck. Just the bed alone is big enough for a theater with a dozen or so rows of stadium seats, but it’s not until you get down on the floor and look back up at the cab do you really get how big the truck really is. Unfortunately, this isn’t one of the machines that you can climb on, so you can’t get the view from the driver’s seat…which would be really cool. There are two movies shown inside before you’re let in to the self-guided museum. The first is Caterpillar’s CEO Doug Oberhelman giving a short introduction about the museum and why it was built. The second is a short film on Caterpillar’s global reach. Once the video plays, the lights come back up and a door on the opposite of where you entered is unlocked. 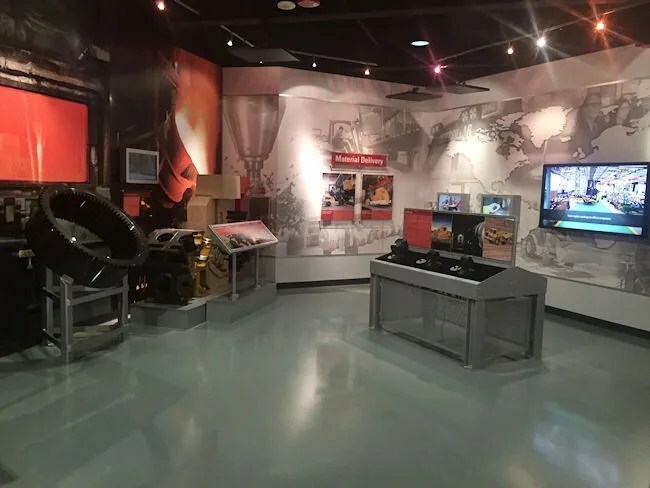 There is a walkway that leads to either a set of stairs or an elevator to take you down to the product floor and the museum part of the building. With a four year old, we headed towards the product floor right away. 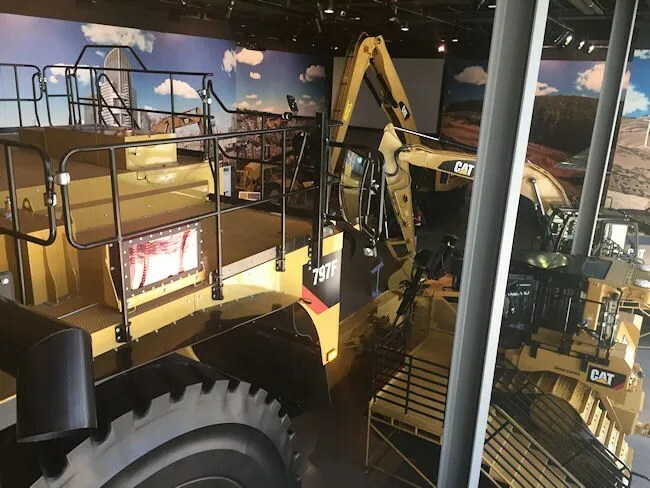 There are a number of Caterpillar machines on display that visitors are allowed to climb up in to the cab. 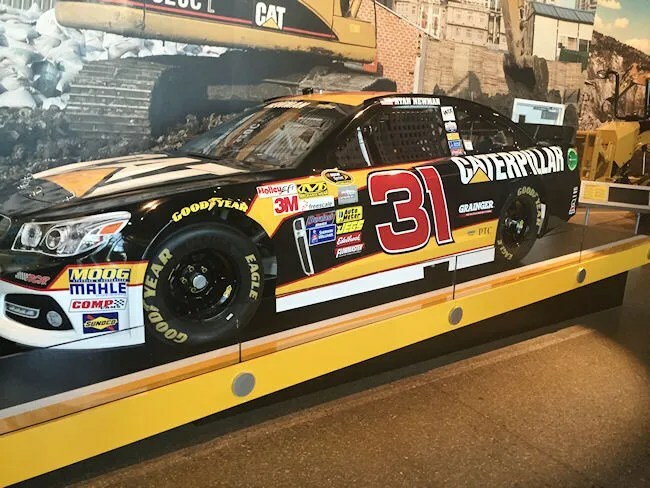 I didn’t write down model numbers, so I’m not going to try and act like I’m an expert on construction equipment, but there was a road grater, a back hoe, an earth mover, some kind of bulldozer, and a couple others…..including one of Ryan Newman’s NASCAR rides (which you can’t climb in). I’m sure if my friend from Cat ever fiends this blog post, she’ll point out what’s what to me. One of the really cool features of the product floor is the simulators. They’re like video games with real controls…and they’re really tough for the novice tractor driver. I tried out a couple of them of them but could never complete the task. One was a bulldozer where you had to cover a pipe…much harder than it sounds. The other one I tried out was a back hoe where, again, you just had to cover a pipe. I came close on that one. While L was running around with the other kids and climbing up on the equipment, I took a quick loop through the museum part of the museum. The rotating exhibit right now is Leo: The Life and Legacy of C.L. Best. C.L. 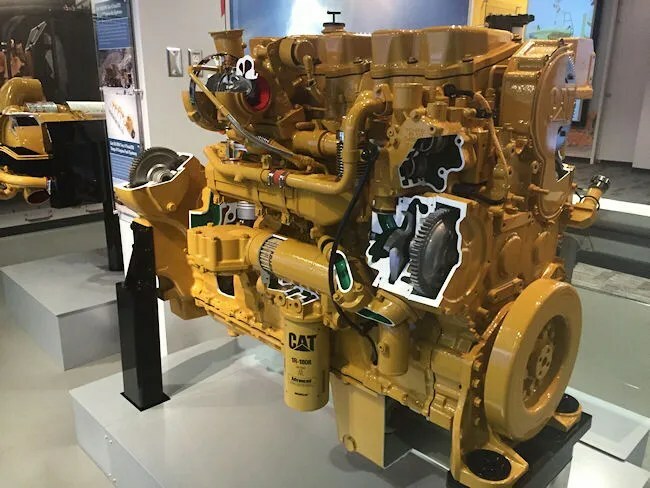 Best was the founders of one of the companies that would eventually merge in the 1920’s to form Caterpillar Tractor Company (the other was Benjamin Holt who named his company Holt Caterpillar Company when he moved to Peoria from California). 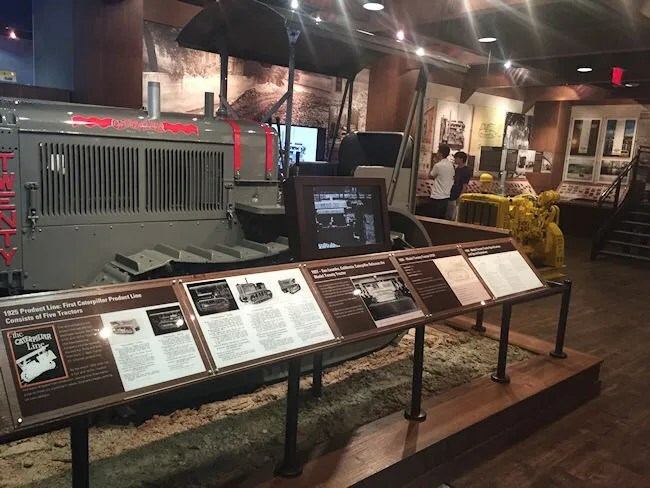 It’s a very cool exhibit on the origins of the company and on continuous track tractors . 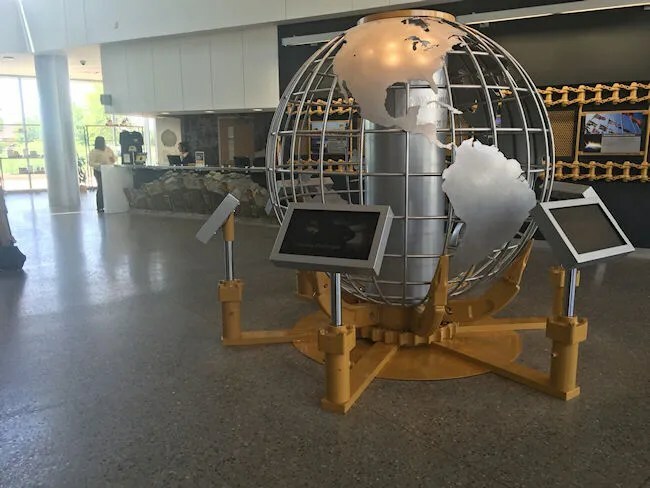 The permanent exhibits include more about the history of the company including a prototype of the 1905 Holt Steam track-type tractor and the first machine under the Caterpillar name, the Model Twenty. There’s also a D8 Tractor from the 1930’s that you can sit in to get a feel of how machinery has changed over the last 90 years. There’s a lot of other stuff past that, but I’m sorry to say I didn’t really get a chance to look at it. J had both kids. One was being cranky and the other needed supervision, so I had to get back out to the machinery floor to hang with L while J took B to go feed him. I kind of breezed through the exhibits, but I didn’t get a good enough feel for what they actually were. 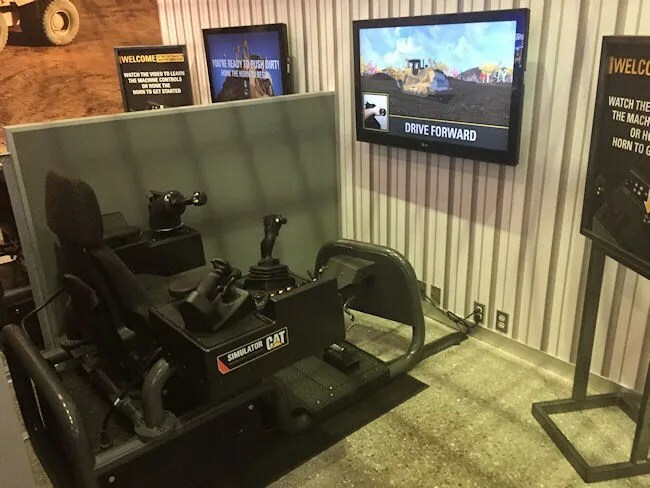 I know part of it was about the future of Caterpillar, Inc. and part of it was about the people that are currently part of the company. 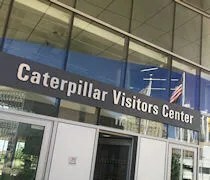 All-in-all, we spent about an hour and a half at the Caterpillar Visitors Center. It was a very cool experience and I’m not even a big machinery kind of guy. My daughter enjoyed climbing up in to the cabs of the tractors and pretending she was driving, so I imagine if your kid is really in to tractors, they would love this place. It’s a really cool place for the history buff as well. Living in Peoria for five years, I thought I knew a lot about Caterpillar. I know of C.L. Best and Benjamin Holt. I know why the bridge that runs near Cat over I-74 is named after Murray Baker. I know where the plants are around the area and (I used to know anyway) what machines they produced, but there is so much more to explore here. If this building was there when I lived there, I know I would have made several visits so I had time for everything to just sink in.